Needless to say, Coulter was subjected to a barrage of criticism. Jews are not monolithic. Like all groups, and society itself, the leadership is Cabalist or Satanic (i.e. Masonic, Illuminati). The rank and file are sheep. Ultimately, if things go wrong, the blame will be cast on the rank and file. The goal is for humanity to resemble a satanic cult, Cabalism. 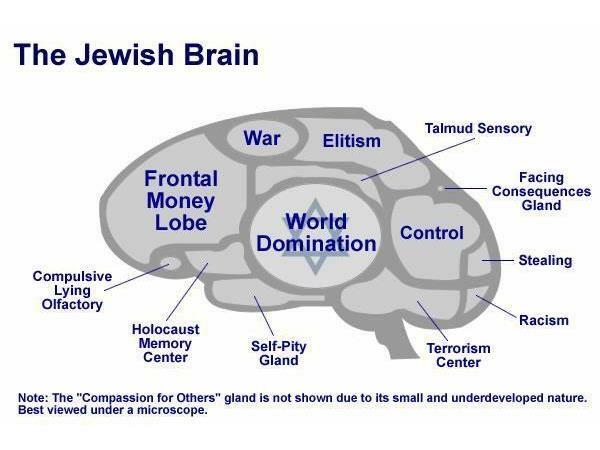 Its goal is to concentrate all power — political, economic and cultural– in the hands of the Cabalist bankers. Not one political candidate in the US or Canada dares criticize Israel? What does that say about the state of freedom and democracy? Sept 24- JJ Goldberg Why Does Everyone Sound Anti Semitic All of a Sudden? why do people hate jews ? DID ZIONISTS HELP PLAN THE HOLOCAUST ?